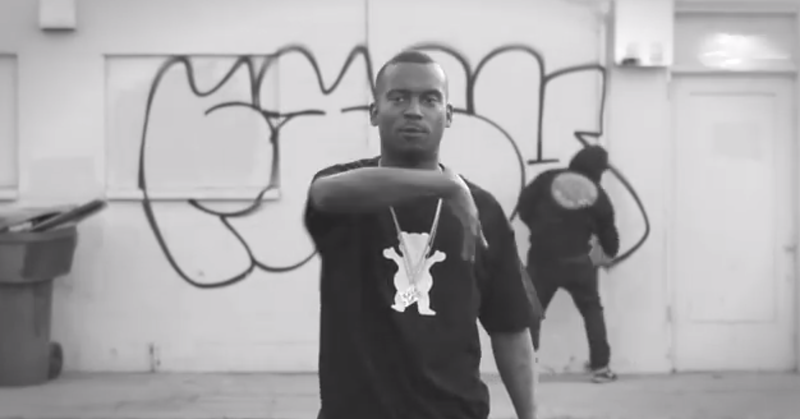 Such a cool and reduced video, everything seems to run fast but Fashawn seems to rap at a normal speed. Simple setting, black and white. Slowed down old school beat and precise voice. Reminds me of Rasko and his Cali Agents which he had with Planet Asia. Five head nods for this. And if you now wonder how they did this, here is the explanation by a friend who is a filmmaker: “Play the sound at 60% speed, let the guy rap to it and the other guys do their thing. Play it at 140% and it looks like he is rapping at normal speed and all the rest is super fast.” Thanks to Martina from Stift und Papier for this! And to Megaloh for the hint to the video.